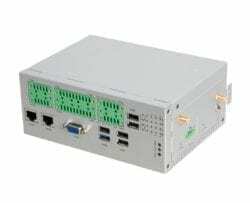 AS20-F1，a newly-launched industrial control PC, adopts Intel Bay Trail Atom E3815 processor. The machine, with six serial ports, features wide operating temperature from -40℃ to 70℃ ( -40 ℉ ~ 158 ℉ ). The PC, with a fanless and robust design, can work in various harsh environments. 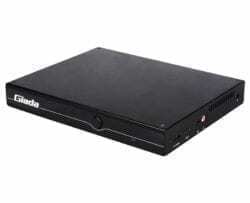 Giada D67 Book-Size High End Signage Player. Powered by the latest generation of Intel® Kaby lake CPU, the book-size Giada D67 packs better performance with lower power consumption into one unit, supports ultra-high resolution display, and is very easy & flexible for memory, SSD and WiFi / BT / 3G module extensions. Powered by the latest generation of Intel® Kaby lake CPU, the book-size Giada D67 pack better performance with lower power consumption into one unit, support ultra-high resolution display, and is very easy & flexible for memory, SSD and WiFi / BT / 3G module extensions. 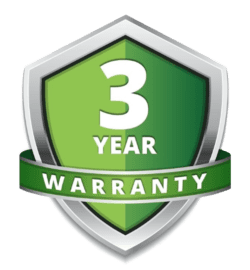 DK37 series is super-slim embedded PC with Intel mainstream mobile CPU， it adopts 7th & 6th Generation Intel ® Core™ / Pentium ® / Celeron ® Processors. The compact size and two independent displays with 4K resolution makes it an ideal choice for high resolution digital signage applications. DN72, an ultra-compact, cost-effective media player, is empowered by ARM RK3288 Quad Core A17 CPU. 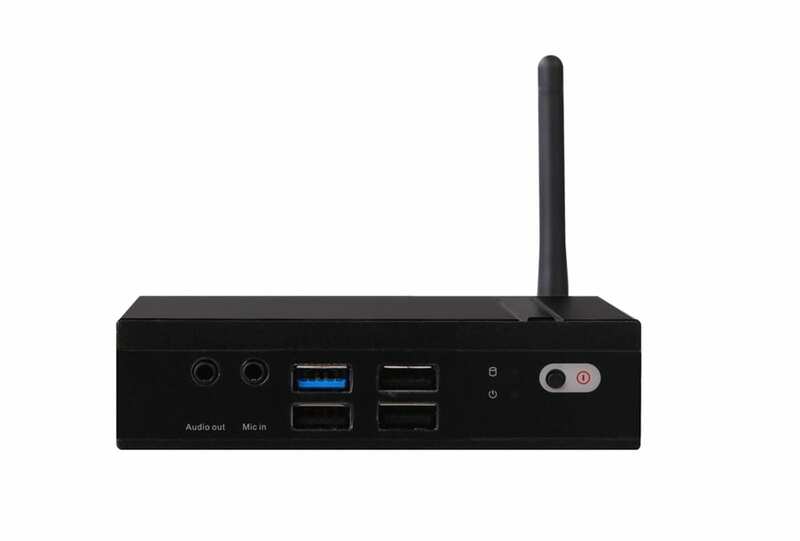 The mini PC, with an HDMI port, supports 4k display. It is expected to be Giada’s another popular entry-level media players applied in digital signage. 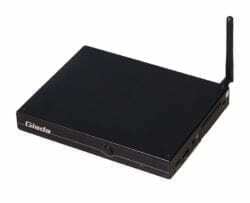 Giada F105D is a new ultra-thin fanless Mini PC powered by Intel® Celeron® Apollo Lake N3450 processor, three video outputs and completed connectivity bring perfect choice for Digital Signage applications, such as government, office, bank, shopping mall, hospital, interactive All-in-One PC. F110D is capable of multi-network independent access with its dual channel Ethernet and vertical structure, and it can be widely utilized in all industries with its fanless design and ultra-low power consumption (≤15W running at full speed ). 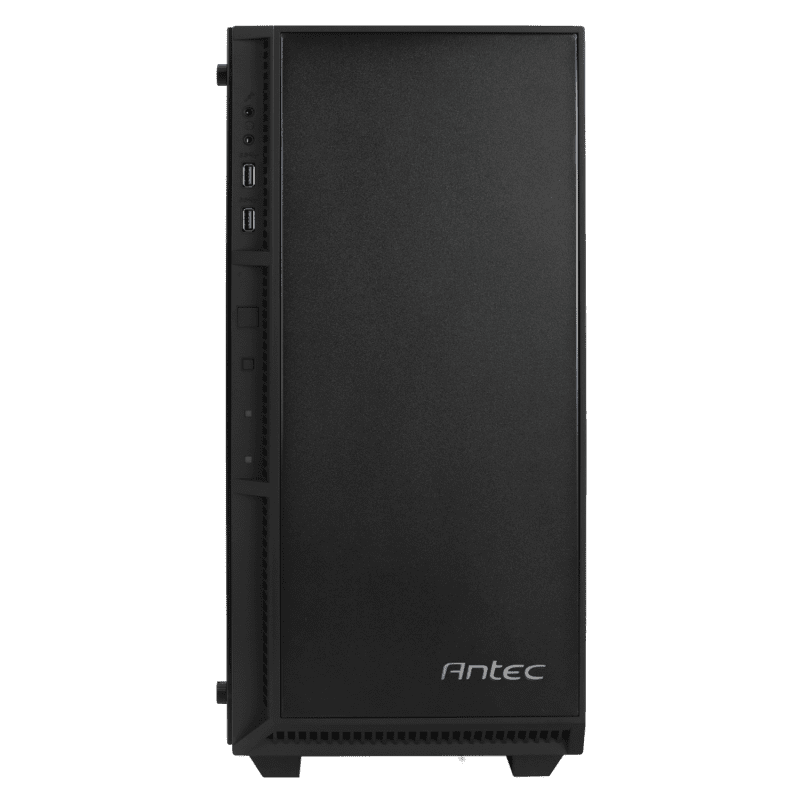 The ultra-compact thin client with only 3 cm height adopts a full metal chassis with fan-less and robust design. Its silent operation makes it suitable for various adverse conditions. F202 provides onboard 2G memory and supports dual display with VGA and HDMI ports. It can be widely applied in thin-client, virtualization terminals, digital signage and industry control applications. 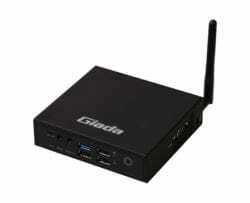 The Giada F210U is a compact-sized and cost effective Intel Platform thin client Mini PC. It adopts Intel® Cherry Trail CPU and provides 2G onboard memory and 32G eMMC storage. 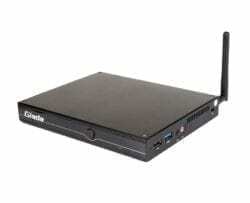 The Giada F210U is a compact-sized and cost effective Intel Platform thin client Mini PC. 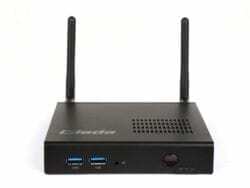 It adopts Intel® Cherry Trail CPU and provides 4G onboard memory and 64G eMMC storage.